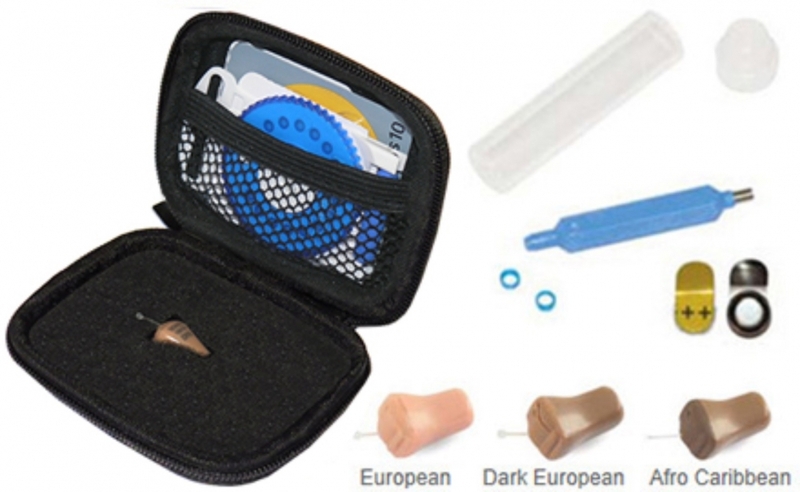 The Micro Wireless Earpiece Kit, micro shell size to fit both Left and Right ears, this is the smallest earpiece available, incorporating proven LD5 technology. Available in 3 skin tones, the Micro Wireless Earpiece incorporates revolving on/off battery door and removable Waxtraps to assist cleaning. Includes 6 Batteries, 15 Waxtraps and Insertion Tool in a Storage Case.